There is certainly an I in team for gymnast Jenna Losh. 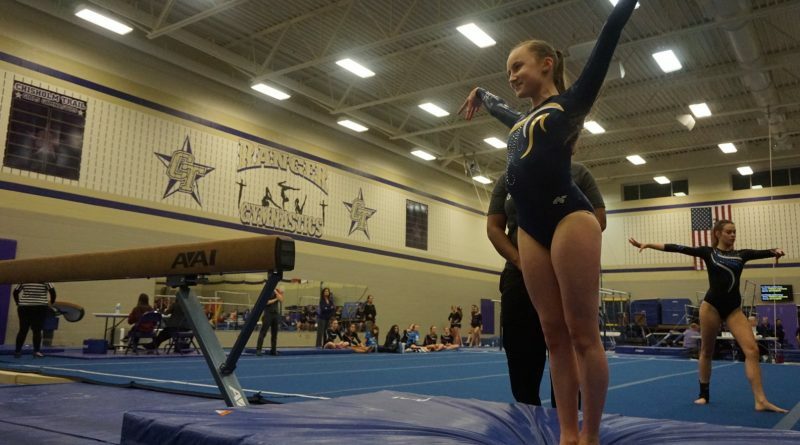 Being the only member of the Lamar gymnastics team, she represents our VFND spirit proudly. “We’ve always had a super small team,” Losh said. “It’s more of the whole district competing as one team that is representing AISD”. With the team being in optional season, Jenna was able to choreograph her own floor routine and follow in her favorite gymnasts footsteps. ” I love Katelyn Ohashi’s floor routine and seeing where she is at UCLA,” Losh said. “I’m currently using her floor music from 2013 for my floor routine”. With next year being Jenna’s last year competing for our schools gymnastics team, she encourages younger athletes to try out for the upcoming years. “This program has been around since the 90’s and there has always been a pretty small team,” Losh said. “We always have our posters put around the school, and always have a booth set up at Viking fest”.